If you’re working with smaller, niche agencies be sure your marketing team understands their capabilities. Understand what you are paying them for. Content creation? Content marketing and measurement? Creative advertising campaigns? Media buying? Smaller agencies can be more agile/adaptable to change as required, but be sure you’re not expecting more than they can offer. Having said that, many agencies are often quietly expanding their range of service offerings to better accommodate their clients needs, so check in with your account manager – what are their current capabilities? Marketing agencies prosper when a partnership is based on trust. Treat them with respect, share ideas and collaborate. The best agencies have worked with clients across industries or ranging in size – they could provide you with valuable insights on trends and data. If you want to create sizzling marketing campaigns that resonate with your readers, let your agency challenge, motivate and inspire you. Be honest with your marketing agency in your brief. They won't be able to help if there's something you're holding back, afraid to admit or just don't want to tell them. Can a doctor give you optimum care if you don’t share all your symptoms? Take a deep breath and relax. Your marketing agency will be bound to the terms of your non-disclosure agreement (NDA) and won't divulge your brand secrets to competitors. What's more, an agency will thrive if they know the bigger picture, grasp the context behind your campaign and understand the ins and outs of your brand message. 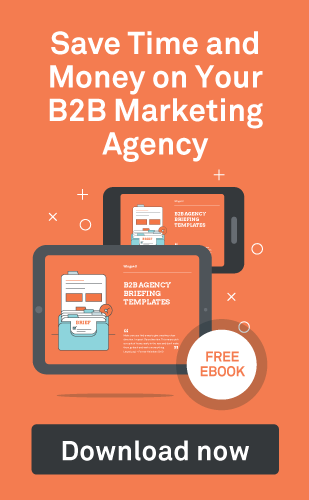 Here's an alarming statistic: A whopping 91 percent of B2B marketers use content marketing but only 36 percent say they are effective at it. From SEO to social media, a marketing agency can suggest new ways to increase the visibility of your brand. Don't be afraid to try something new. 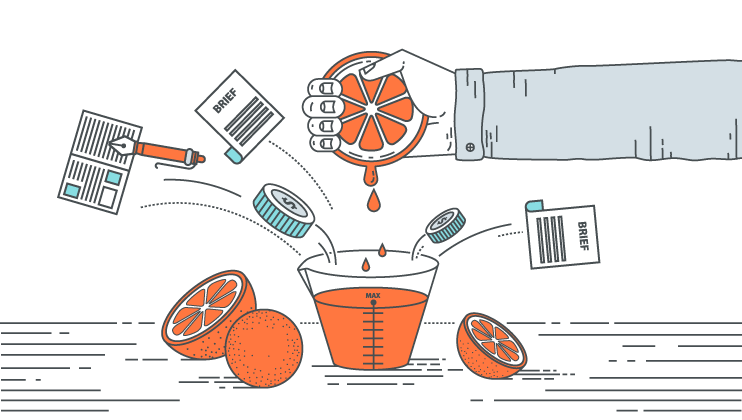 A fresh approach to your marketing could expose your brand to a whole new audience. If you're not passionate about your marketing campaign, why would your agency be? Help inspire their creative team by brainstorming ideas and providing valuable feedback. You might know your brand better than anyone else but an agency has the time, resources and expertise to deliver your marketing message across various channels. Be excited, eager and gracious and your agency will follow suit. In a study from the Association of National Advertisers (ANA), clients think they give clear briefs while the agencies disagree. Make sure your brief is outlined clearly; make it engaging, to-the-point and valuable. Behind every successful marketing message is a dazzling design brief. Don't mess it up — this is one of the most important parts of the campaign. Both clients and agencies agree on the importance of better briefing to improve the working relationship. Staying with the clear brief idea a bit longer: Explain the KPIs and goals, motives and inspiration behind your campaign in your brief. If you want to create content that drives sales, boosts profits and generates leads, be specific and clear. Get to the nitty-gritty: Create customer personas, cite tangible examples and share your objectives. Provide your agency with more accurate, concrete information and you'll reap the rewards. Extra tip: using a written brief goes a long way to improving working relationships. Your internal stakeholders should be reading from the same page before you outsource content creation to a marketing agency. Having a collective goal can work wonders. If each stakeholder wants to achieve the same purpose, your partner agency will find it easier to meet the objectives of a clear agency brief. Have an internal vision and uniform approach to your campaign in order to deliver consistency. Discuss your budget up front so your agency knows exactly how much to spend on your campaign. Withholding this information at the offset — or forgetting to mention it all — can slow down the rollout of your campaign if an agency wastes time and creative talent on ideas and concepts that you just can't afford. Tell your agency what you want — and how much you want to spend —at the beginning of your partnership. As a B2B marketer, you won't be an expert on everything. And that’s OK. Use agency talent to work faster, revolutionize your campaigns and add sparkle to your marketing messages. Treat your agencies as partners when you outsource content creation. If you can improve any of the areas above you will get more from your partner agencies and save time and money which all helps improve the bottom line.